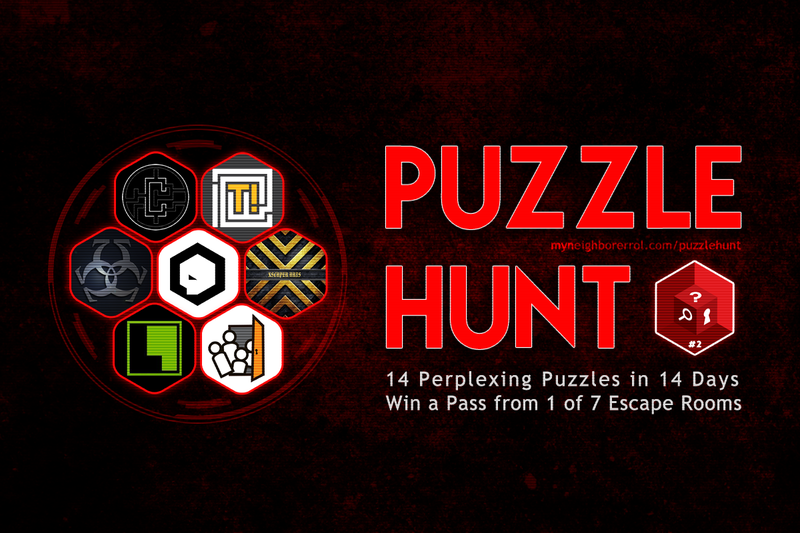 Yup, not only is there going to be a SECOND puzzle hunt, but we have involved 7 escape rooms from across Toronto who have provided us with prizes! This time around is going to be a far different experience. Whereas before it was Errol simply cranking out puzzles as soon as he could, this time we have actually playtested each puzzle AND will have a more formalized hint process set up. I will warn you. Errol is still just as evil with his puzzle making ability. …I might be dealing with the majority of the anger. Joy. Posted on March 17, 2015, in My Neighbour Errol and tagged my neighbour errol, TOPH2. Bookmark the permalink. 2 Comments. I’ll give this a pass I think- after all, I gave up after puzzle 8 on the last one, and I couldn’t benefit from winning even if I did… plus, to be honest, I don’t need the extra stress.